Essential to make spot checks in the field. 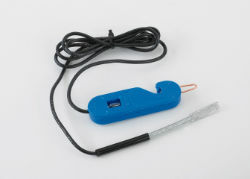 Tells whether fence is working and helps locate faults such as ’opens’, ‘shorts’, and partial grounds. Lamp protected by resistor.